It has now been forty years since Al Pacino blazed across the screen in the classic police drama, Serpico . Based on the acclaimed book of the same name, it is that rarest of Hollywood films”an adaptation as exceptional as the book. Searing, deeply moral, and ultimately heartbreaking, it is as powerful today as it was the day it opened. And even more relevant. Were it not for the book and Pacinos extraordinary depiction of him, Frank Serpico might be forgotten today. He was the youngest son of Vincenzo and Maria Serpico, two Italian emigrants from Naples. He grew up in Brooklyn hearing of how his grandfather had been assaulted and robbed, but also how his uncle had become a policeman to correct such wrongs. From the time he could remember, little Francesco, as he was known, fell in love with the idea of becoming a police officer himself. It was that very love which led Frank Serpico to pursue a path which nearly cost him his life”though not in the way one might expect. To be a police officer means to believe in the law . . . to enforce it impartially, respecting the equality of all, and the dignity and worth of every individual. Every day you will be on the line, as will your character. You need integrity, courage, honesty, compassion, courtesy . . . perseverance, and patience . . . . You men are now prepared to join the war against crime, and put the theory you have learned into practice in the streets. It isnt long before Serpicos high ideals take a hit. Many within his department have a sense of entitlement and violate the ethics code at will. They demand free meals from diners, ignore emergency calls, abuse suspects, and”most glaringly”take kickbacks from gamblers and other criminals. They expect Serpico to join this racket, but he resists, and is shocked that no one else seems to share his principles. After he is handed a mysterious stash of money, in an effort to buy his silence, he alerts the proper authorities, hoping they will end the secret payoffs. But nothing transpires”even as the graft and corruption grow worse. By now, Serpicos life is in serious danger”and not as much from the criminals, as his fellow officers. They want him gone, silenced”if necessary, dead. At that point, McClain turns his back and stomps away, leaving Serpico to fend for himself. Finally, Serpico explodes in rage, with words that echo throughout the borough, Its my life, you [expletive]! Most of us will never be in a situation anywhere near as perilous as Serpico was, and yet most of us have likely witnessed wrongdoing of some kind, and tried”or been challenged”to correct it. Anyone who has ever done so, only to run into a brick wall, can identify with the frustration, the fury and sheer agony Frank Serpico experiences when trying to act out his conscience. The film, directed by Sidney Lumet, with a script by Waldo Salt, is seamless in its construction and brilliantly acted. Two scenes in particular stand out. The first is when Serpico and his fellow officers move in on a drug pusher in a Brooklyn tenement. Serpico is the first to break open the door, but as soon as he does, the drug dealer pushes back, fiercely. A struggle ensues, and Serpico desperately calls for backup from his partners: What the [expletive] are you waiting for? His partners dont move. Serpicos harrowing fight continues, until the unbearable tension is ended by a blinding flash of light. Serpico falls backward and crumples to the ground. Hes been shot, and his face streams with blood. His eyes and lips flutter, as his life appears to be slipping away. The second scene, quickly follows the latter. It takes place in the hospital, after Serpico has, almost miraculously, survived the attack, and is visited by the Chief of Police, who purports to comfort him. Serpico asks him, Do you want to see some of my fan mail? and shows him some get well cards” scribbled over with words of hate, hoping for his death. The Chief says nothing, but presents him with a special badge of honor, for his service and bravery. His face still swollen in pain, his jaws almost wired shut, Serpico looks at it in disbelief, before turning it down. Whats this for? he asks cuttingly. For being an honest cop? Pause. Or for being stupid enough to get shot in the face? Serpico then brings his clenched fists to his forehead, tightens his eyes shut, and lets out a small cry of agony, grieving for himself and for a world devoid of understanding and integrity . 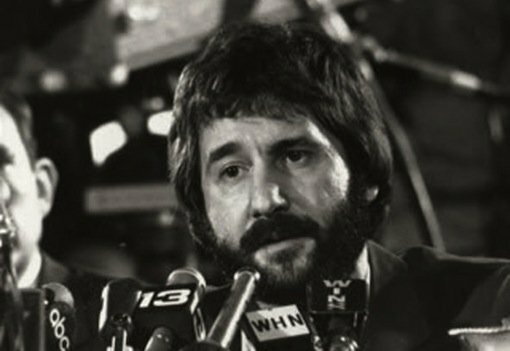 Frank Serpico not only survived that bullet wound to his head, but testified publicly before the Knapp Commission , helping bring down the blue wall of silence which protected corrupt police officers for so many years. Shortly after doing so, he retired from the police force altogether, and moved to Europe, to escape the hostility that still surrounded him. After years away from the United States, Serpico was welcomed back”not just by ordinary citizens but by young recruits at the police academy, eager to grow past the errors of their predecessors. The same force that once detested him, now invites him to lecture, and salutes him with ovations. In a conversation with New York Times , Serpico spoke about how important it is to keep our high ideals in a world filled with cynicism and temptation, living them out as best we can. Doing so, ultimately liberates. It was certainly a load off my shoulders, he said, recalling his testimony, and everything that went with it. Ive taken my knocks, but I feel Im a better person for it . . . I feel it is a good moral lesson . . . I certainly dont have any regrets. William Doino Jr. is a contributor to Inside the Vatican magazine, among many other publications, and writes often about religion, history and politics. He contributed an extensive bibliography of works on Pius XII to The Pius War: Responses to the Critics of Pius XII . His previous On the Square articles can be found here .